Inter Milan withstood a fightback from Palermo to prevail 5-3 in a pulsating Serie A clash. 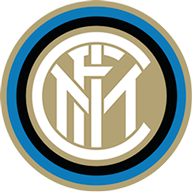 Inter Milan withstood a second-half fightback from Palermo to prevail 5-3 in a pulsating Serie A clash on Thursday night. Palermo had been unbeaten in their previous five games but they were still torn apart in the first half as Inter carved out a seemingly decisive 4-0 advantage. Samuel Eto'o broke the deadlock with a penalty in the seventh minute after Mario Balotelli had been brought down by Cristian Melinte. Balotelli, who had wanted to take the penalty and initially did not celebrate the goal, then made it 2-0 with a header from Maicon's corner on 34 minutes. The irrepressible Balotelli then tapped in Inter's third and set up Eto'o for his second of the match just before the interval. 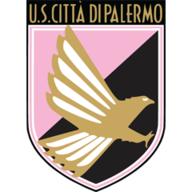 Palermo could have been forgiven for thinking about damage control at half-time but they managed to reduce their arrears through Fabrizio Miccoli four minutes after the restart. Abel Hernandez then pulled another goal back for Palermo just after the hour mark and Miccoli struck again on 67 minutes to leave Inter well and truly rattled. However, Jose Mourinho's Nerazzurri recovered their composure and sealed the most dramatic of victories with a Diego Milito effort seven minutes from time. The result sends Inter four points clear at the top of the table, with Palermo back in seventh.